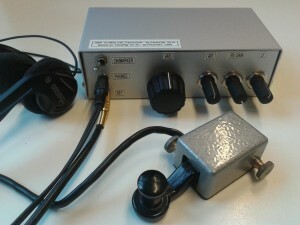 This year I built a very nice 30m QRP transceiver, based on a design by Onno PA2OHH. Meanwhile I have used this rig a couple of times, and did some measurements too. This article tells some of my experiences with this great little box. The main reason to build this transceiver was to enable radio contact with friends in Holland during my hike in Scotland, September 2014. I built a lightweight antenna, based on a aluminium tent pole (4 meters tall) and a wire dipole (2 x 7.5m). The result is an inverted-V antenna. Due to bad weather conditions during the first day, we had some exhausting walks through a landscape that was turned into a large bog. Therefore I was not always able to setup the radio station, but I managed to make a range of QSO’s using this simple setup. It was nice to see walkers first laughing at me with my morse key, until I successfully contacted a friend; they asked me to send telegrams to their friends, which I refused due to regulations. During most evenings I was able to contact Jan PA1JT, who made a 30m dipole just to contact me. Also, Adrian PA0RDA provided a weather forecast every night on a given frequency. This helped me to prepare the next walk. Unfortunately I was not able to contact him, he was not able to copy my signal due to local noise and sub-optimal antenna conditions. The VERON organizes a ham radio fair each year, called (in dutch) “Dag van de Radio Amateur”. During this day there are lots of activities, including a flea market, talks, morse code challenges, home brew area, interest groups, etc. There is also a place filled with measurement equipment, allowing to bring your own stuff and see what it does. I took my homebrew 30m transceiver and tried to measure its sensitivity. I attached an RF signal generator, running at 10.125 MHz and turned down the output. I was able to hear the carrier until the signal dropped below -110dBm (less then 1 uV). A couple of years ago Adrian PA0RDA and I built a Half Extended Double Zepp antenna for 80 and 160m. On a rainy evening in November 2014 I grabbed my 30m transceiver from the shelf and attached it to this wire dipole, just to listen a bit. I heard stations from different countries, from Germany to Brazil! I then attached my morse key and tried to tune the antenna using my versa tuner. I succeeded and answered some calling stations. 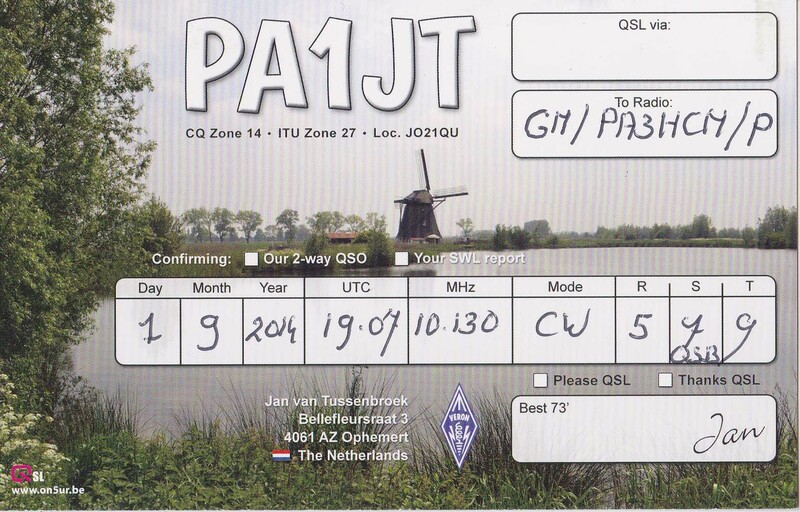 I made some nice QSO’s with stations throughout Europe. However, not every station was able to copy my signal due to my QRP power.